To make the development process more efficient, it is essential to gather the knowledge and experience acquired through project work around the world and to selectively impart it to the relevant stakeholders. Our organisational structure enables us to mobilise existing experience, research knowledge and expertise from municipalities, application-oriented science, and expert associations worldwide—then translate it effectively to local actors. For us at BORDA, knowledge management isn’t just about collecting documents—it’s about connecting people. BORDA focuses on close and long-term collaboration with professionals on-site and knowledge transfer in global networks. 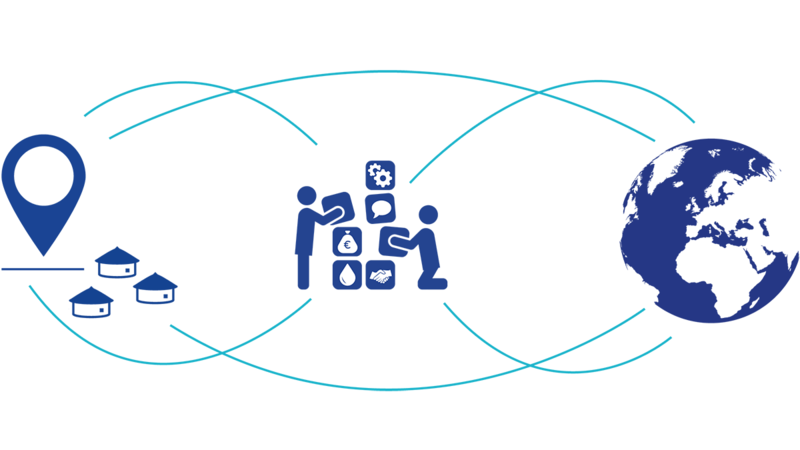 This local-global-local feedback loop strengthens social structures, creates conditions for transformative development, and establishes knowledge where it is needed most. Together with universities and research institutes, BORDA develops future-oriented and integrated concepts for a world where up to 70% of the growing population will live in cities. We also examine and apply private-sector approaches that enable us to accelerate the achievement of higher-level, non-profit-oriented goals and to increase their impact. bridge the gap between academia, institutions and practitioners by disseminating our knowledge and experience from the field into the water, sanitation and hygiene (WASH) sector. 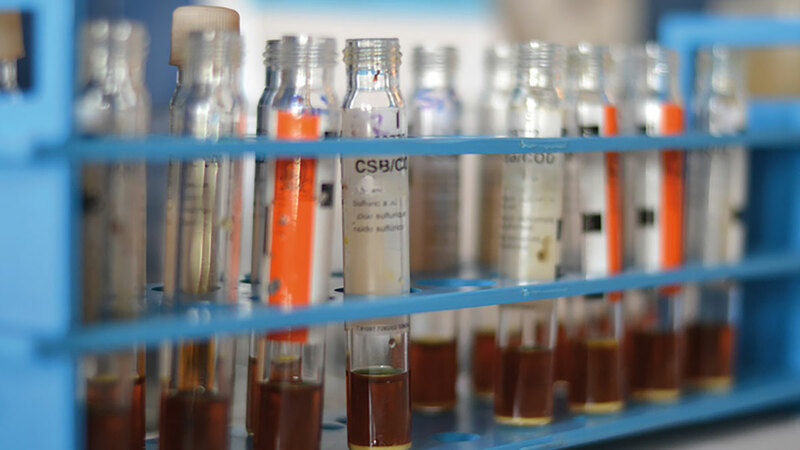 Our current R&D focuses mostly on technical, engineering and biological processes. The aim: mature decentralised sanitation solutions that become well-established technological alternatives to address the global wastewater crisis. 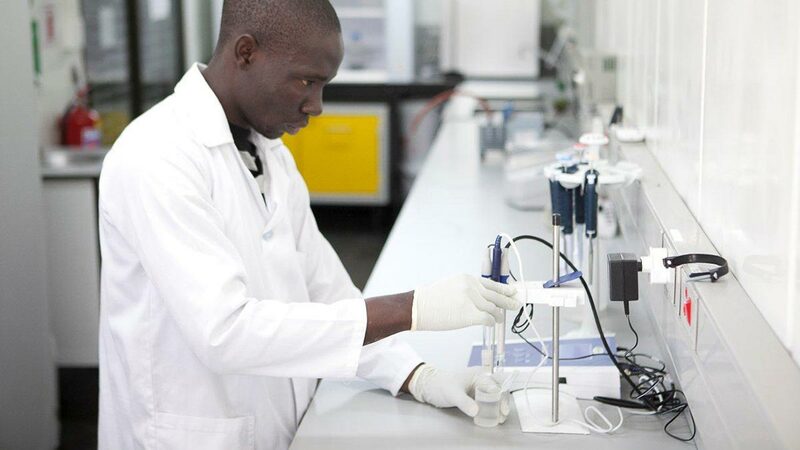 Our R&D team supports regional programmes by guiding regional research and lab-related efforts, enhancing scientific exchange to build up regional capacities, supporting quality control systems for our regional hubs, and contributing to scientific publications. 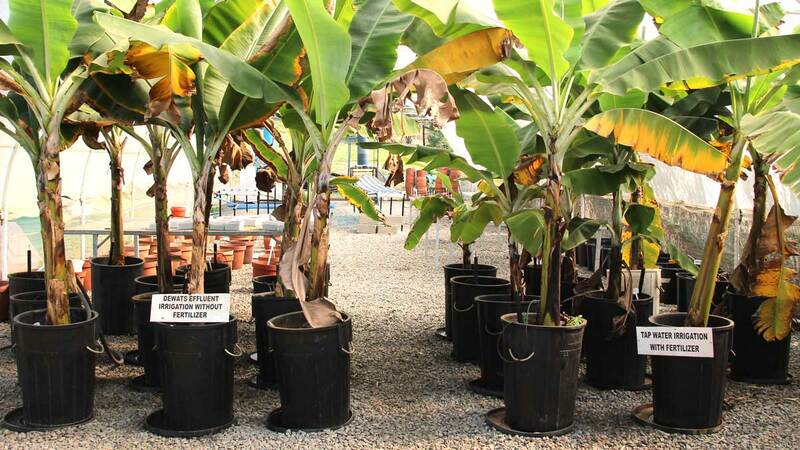 collecting long-term data to evaluate the performance of different treatment modules under real social and environmental conditions. 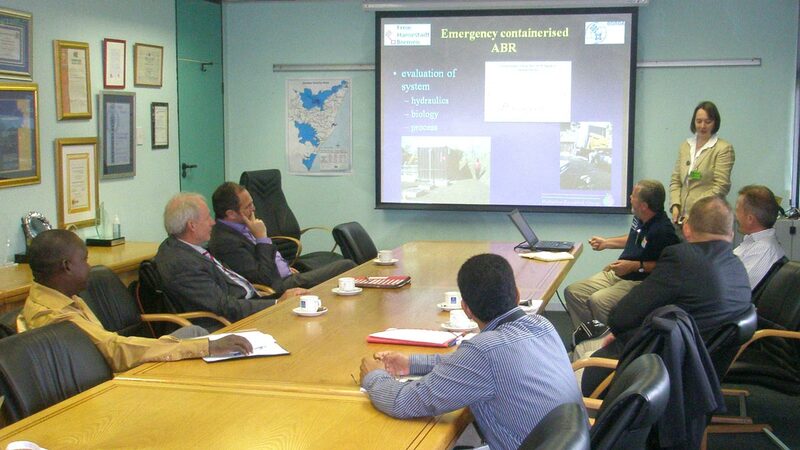 BORDA R&D is also driving the development of new or improved decentralised sanitation solutions. 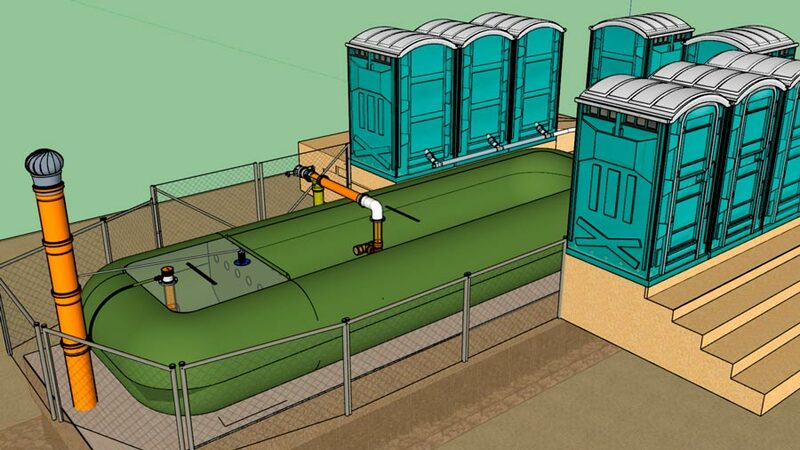 Current examples are the development of an improved waste- and rainwater discharge system and an additional treatment step for the oxygenation of wastewater via Vortex technology (download factsheet). Our development activities are always driven by the direct need for improved design or the potential to introduce a new product to the market. 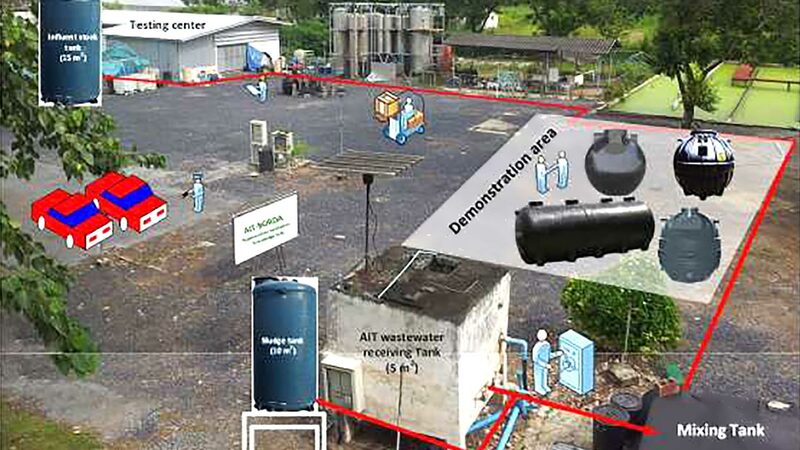 BORDA and the Asian Institute of Technology (AIT) Bangkok are working to establish a testing centre for onsite sanitation systems—a proving ground for system performance and the efficacy of different materials. The centre will also serve as a knowledge hub with demonstration sites, capacity-building training programmes, and public showcases of well-performing on-site sanitation. 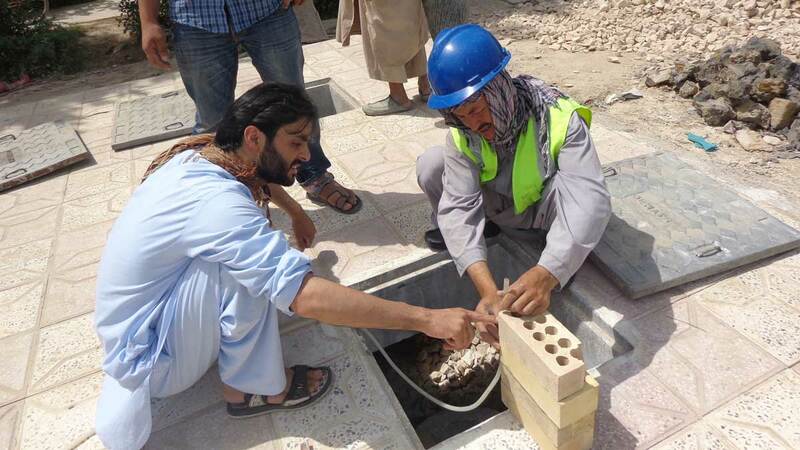 The German technical institute PIA (Prüfinstitut für Abwassertechnik) is providing technical assistance in the establishment of the testing centre. The goal: to introduce a standard for safe and sustainable off-grid sanitation technologies to help ensure that only safe and sustainable solutions are being procured, installed and used for the overall benefit of those living in the region. 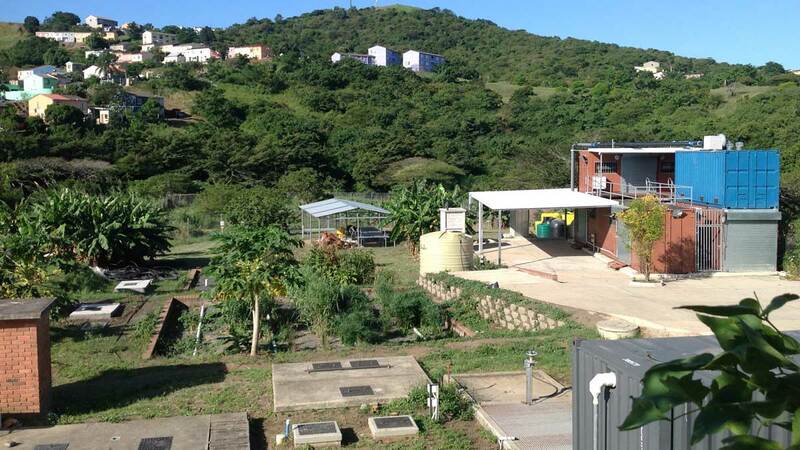 The Newlands Mashu Research Site, located north of Durban, South Africa, is used to conduct research experiments and field-test the applicability of sanitation-related models. 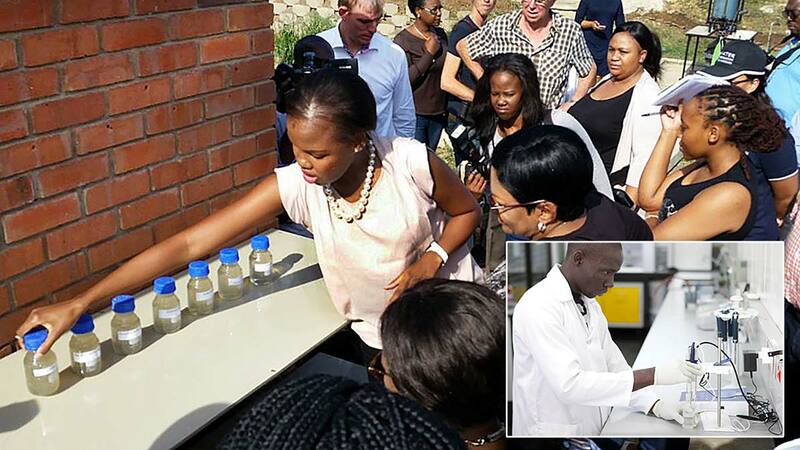 test and evaluate the use of sanitation-based fertiliser products in agriculture in a controlled and safe environment. 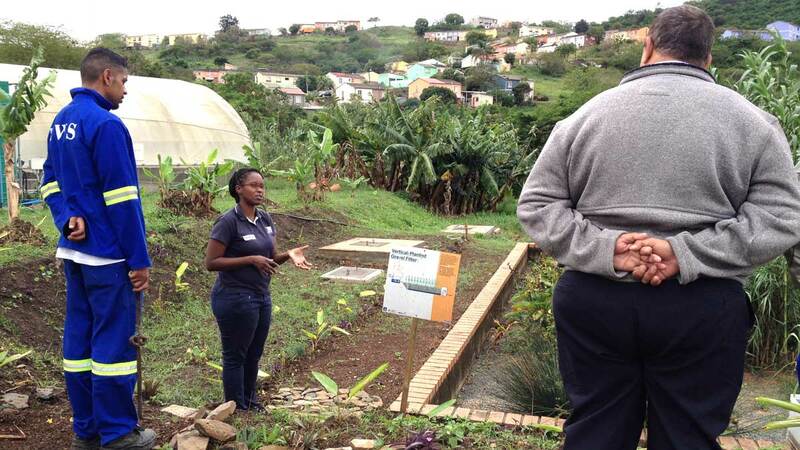 Trials at Newlands are part of the eThekwini Municipality’s long-term strategy to provide sanitation systems for existing and new housing projects. Clean water and safely managed sanitation for all will not be achieved only through technical solutions. It also requires structural change. For this, it is essential to enable local people to build, operate and maintain sanitation facilities, and to act as champions for sustainability and integrated planning. 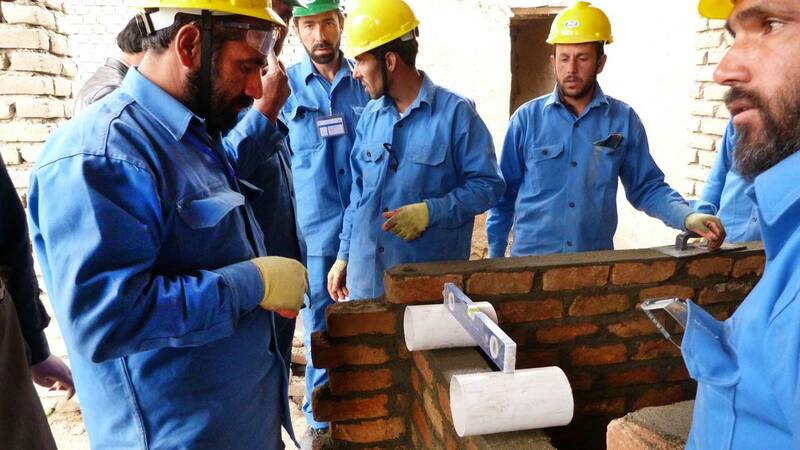 In collaboration with local partners, BORDA provides training and further education for different target groups including government and municipal officials, craftsmen and unskilled workers, teachers and school children. This is achieved through BORDA’s own training centres, workshops, professional education programmes, knowledge exchange, and health & hygiene trainings. 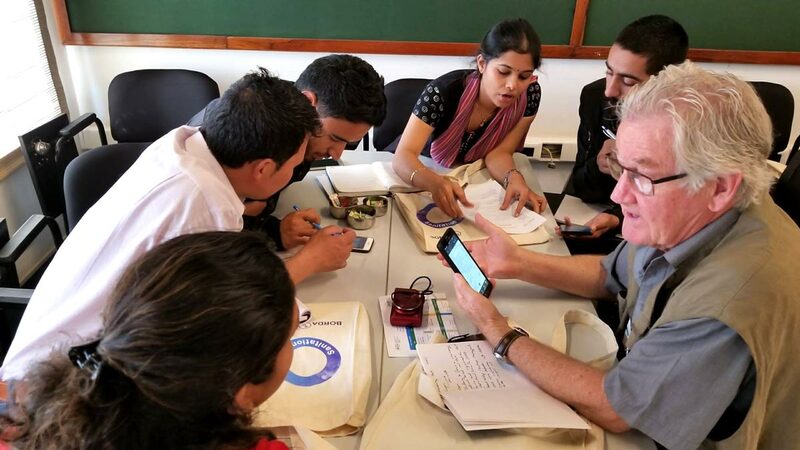 Trainers are typically local experts from BORDA’s partner organisations who share their knowledge and experience not only in their own country, but worldwide. Exchange between different regions enhances the network and creates a global community of experts in decentralised basic services. 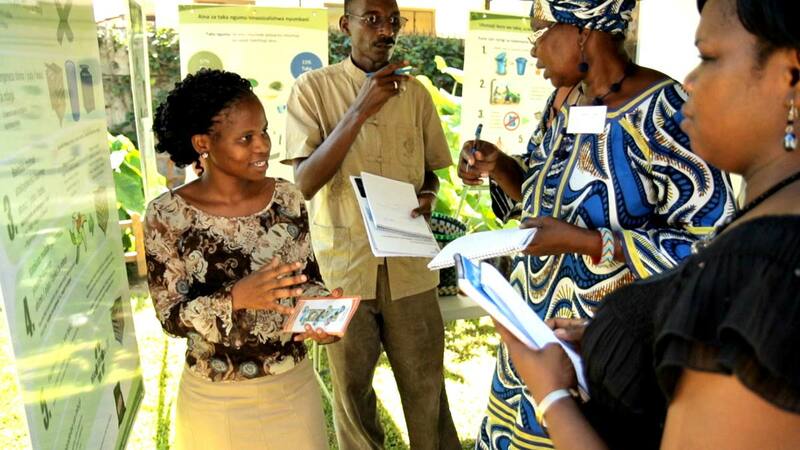 489 representatives of local authorities were trained by BORDA in Tanzania. 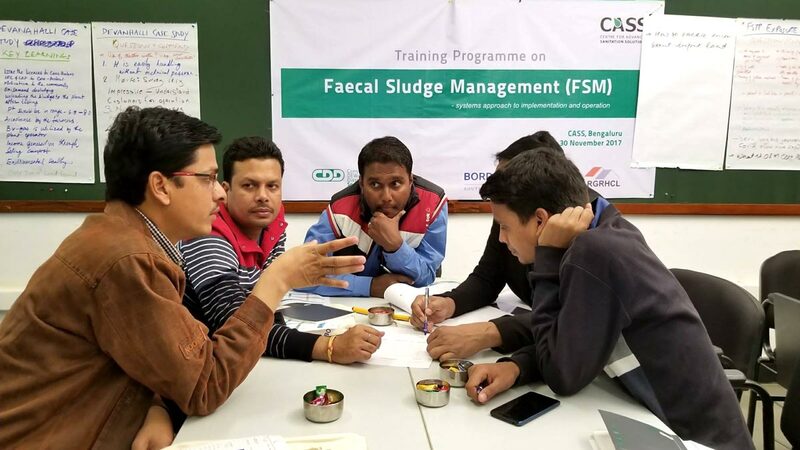 Through the Centre for Advanced Sanitation Solutions (CASS)—located in Bangalore, India and jointly run by BORDA and CDD Society—we deliver training and capacity-building programmes for unskilled and skilled sanitation workers, government officials, planners, engineers and decision makers. The vision: building a critical mass of skilled professionals, experts and thought leaders dedicated to sustainable water and sanitation solutions. 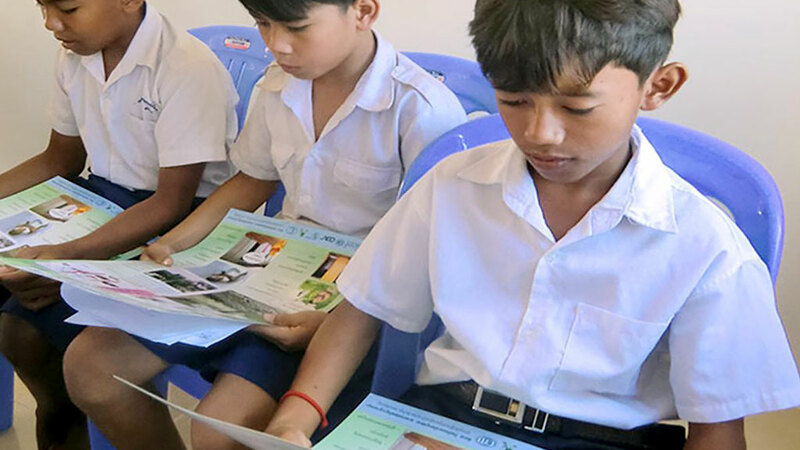 Field-level experts foster practical knowledge and teach core skills via an experience-based approach that includes case studies and field visits. Course content and methodology are customised for participants’ backgrounds. 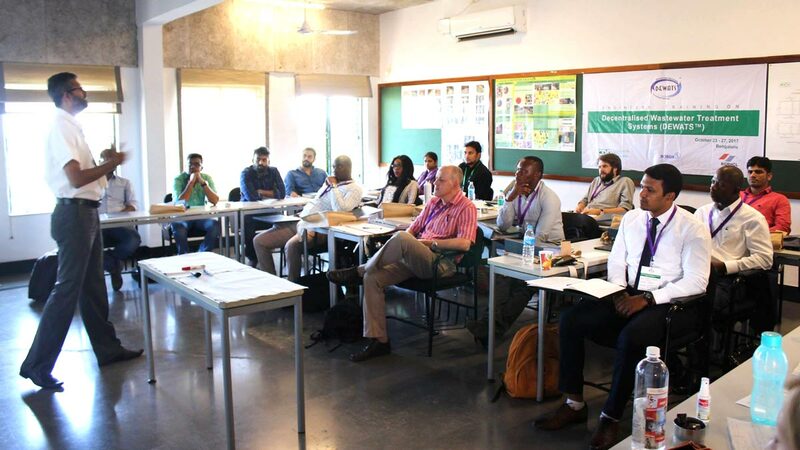 Participants gain increased sensitivity to the social, economic and political environments surrounding sanitation and sustainability measures. CASS also conducts research projects on wastewater management and has a production facility for prefabricated decentralised wastewater treatment systems (DEWATS), a permanent exhibition on basic sanitation, and a team of experts that works on citywide sanitation planning and the design and construction of DEWATS. The global water sector is facing a fundamental transformation. We see ourselves as one of the driving forces of this change, helping to set the international agenda. 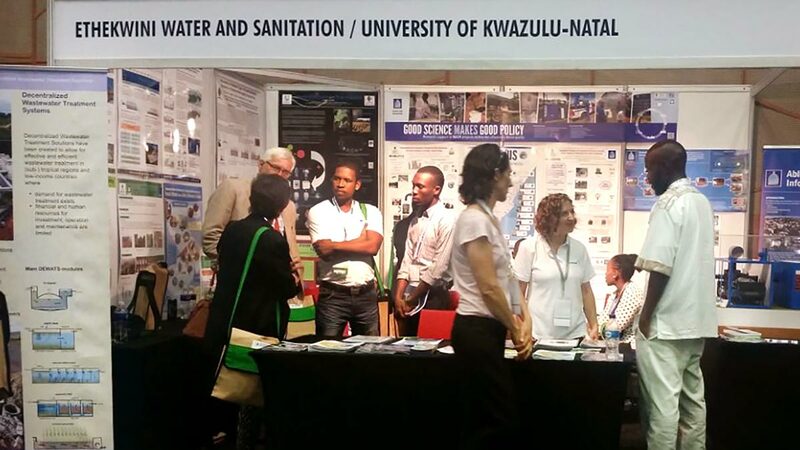 At international forums such as the World Urban Forum 9 (Kuala Lumpur), the World Water Forum 8 (Brasilia), and the International IWA Congress (Bamako), we establish and strengthen communication links with international donors and actors in the water and sanitation sector. These forums are also about dissemination—we take the opportunity to share specifics on our approach to decentralised infrastructure facilities for securing livelihoods within a broader context of urban development. 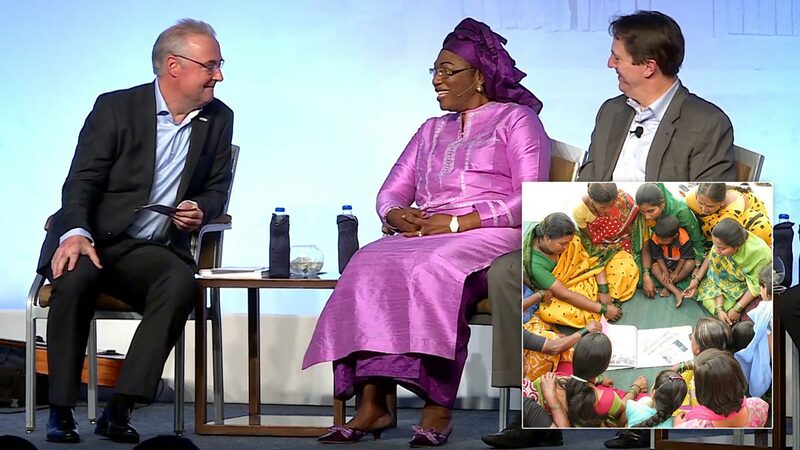 The World Urban Forum—the world’s premier conference on cities—focused its 2018 WUF9 event on the implementation of the New Urban Agenda adopted at the Habitat III conference in 2016. As cities are key development actors, the New Urban Agenda is a vital tool for achieving the Sustainable Development Goals (SDGs). 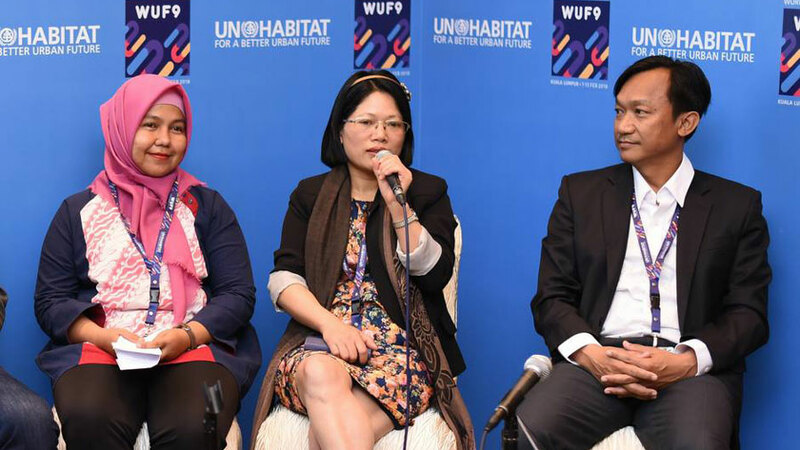 At WUF9, BORDA participated in in-depth knowledge exchanges with a wide range of experts on topics related to SDG 6 (clean water and sanitation for all), SDG 11 (inclusive, safe, resilient and sustainable cities & settlements) and SDG 17 (sustainable development through global partnerships). 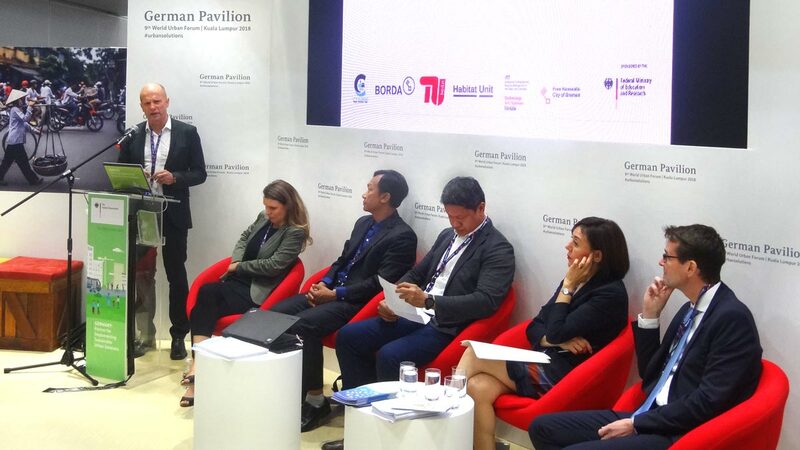 BORDA hosted two side events to present the first results of a practice-orientated joint research project—funded by the German Ministry of Education and Research (BMBF)—undertaken by cities and government agencies in Indonesia, Cambodia, Laos, Philippines, Vietnam, academic institutions and civil society organisations. 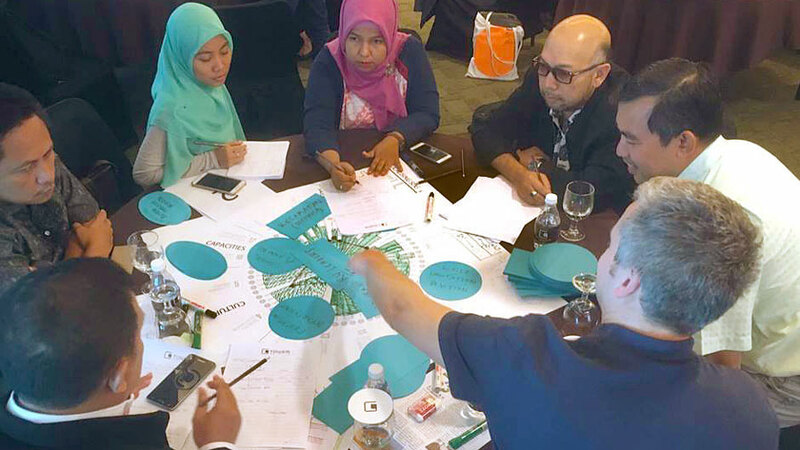 The event demonstrated the scope of practice-relevant tools that allow fast-growing cities in Southeast Asia to implement the New Urban Agenda through polycentric approaches to urban development and integrated, cross-sector water management. In addition to the side events, BORDA and its partners – Asian Institute of Technology (AIT), Habitat Unit of TU Berlin, University of Applied Science of Cologne, Vietnam Academy for Water Resources, State Government of Bremen, and the city alliance People-Sanitation-Cities – organized a two-day workshop on “Polycentric approaches to the management of urban water resources in Southeast Asia”. As a WUF9 participant, BORDA signed on to the Kuala Lumpur Declaration on Cities 2030. The February 2017 Fourth International Faecal Sludge Management Conference (FSM4) served as a global forum for the discussion and dissemination of FSM solutions that are innovative, practical and sustainable, with a particular focus on those that can be scaled up to serve large populations. Structured along three tracks—research, case studies, and industry and exhibition—the conference brought together a wide range of interested professionals. 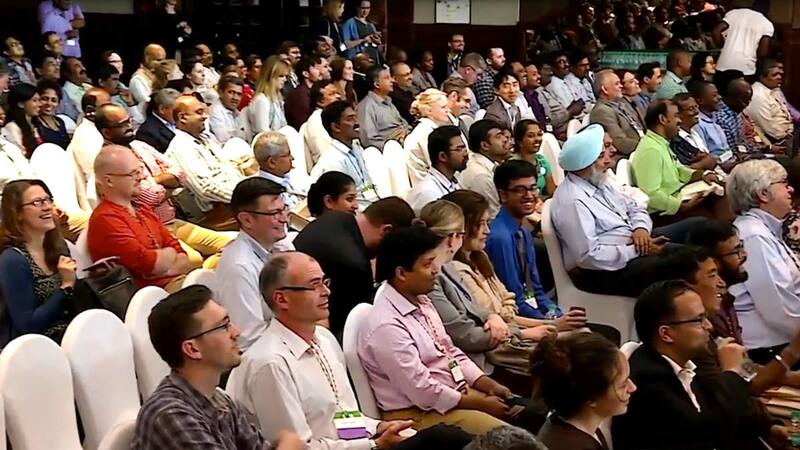 Convenors were drawn from the research, government, non-profit and donor sectors, and included the Tamil Nadu state government, the Bill & Melinda Gates Foundation, BORDA and its Indian partner CDD Society. FSM4 built on the work of three previous FSM conferences, beginning in 2011 in Durban, South Africa. 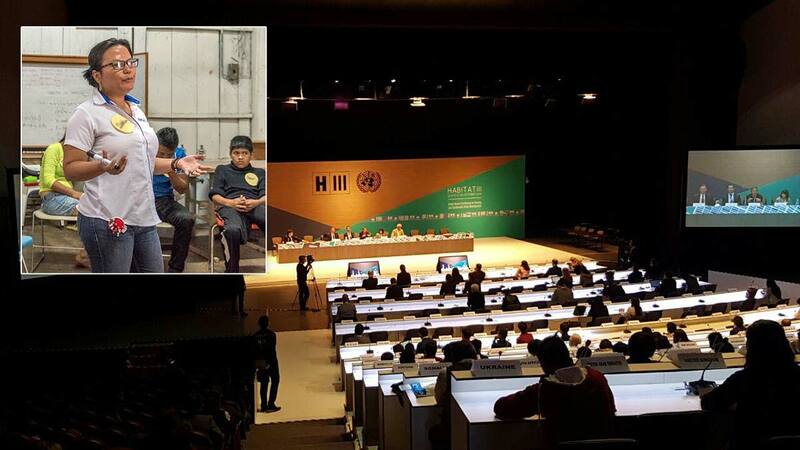 In October 2016 BORDA participated in a major global summit in Quito, Ecuador, the Habitat III Conference, formally known as the United Nations Conference on Housing and Sustainable Urban Development. At two side-events BORDA and fellow participants set fresh priorities and strategies and discussed options to shift mindsets toward considering sanitation as a vital key element for the cities of the future. 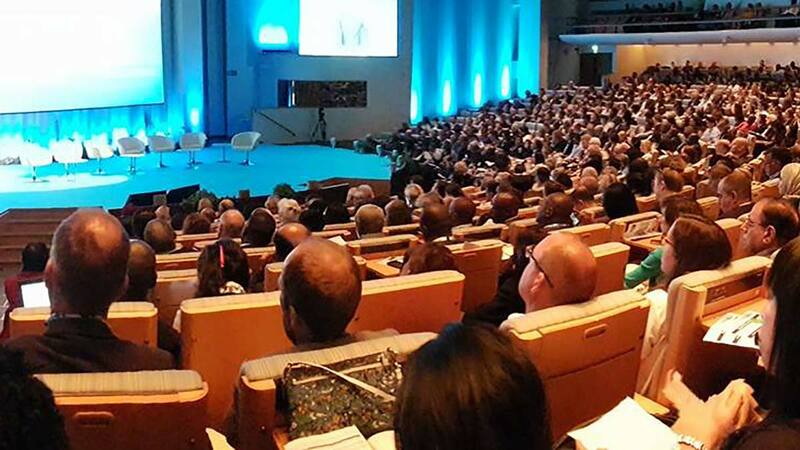 BORDA participated in the drafting of an action-oriented blueprint for the future development of cities—the New Urban Agenda—adopted by the UN Human Settlements Programme at the conference. 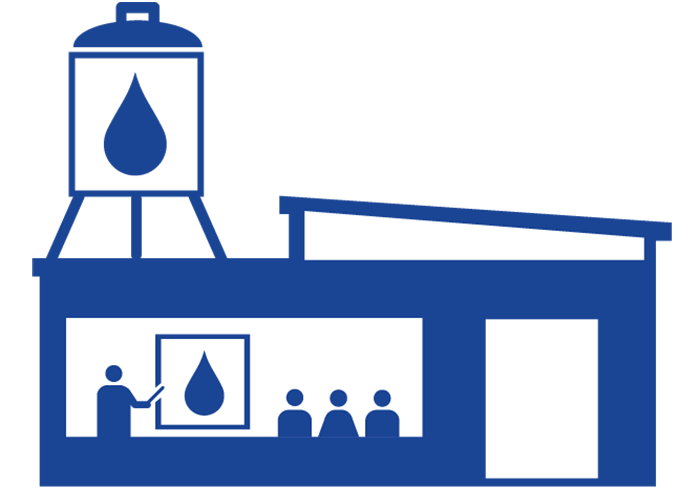 Working with partners around the world, BORDA shapes the management of urban water and sanitation services as well as the associated structural and legal frameworks—in an efficient, participatory and quality-assured way. 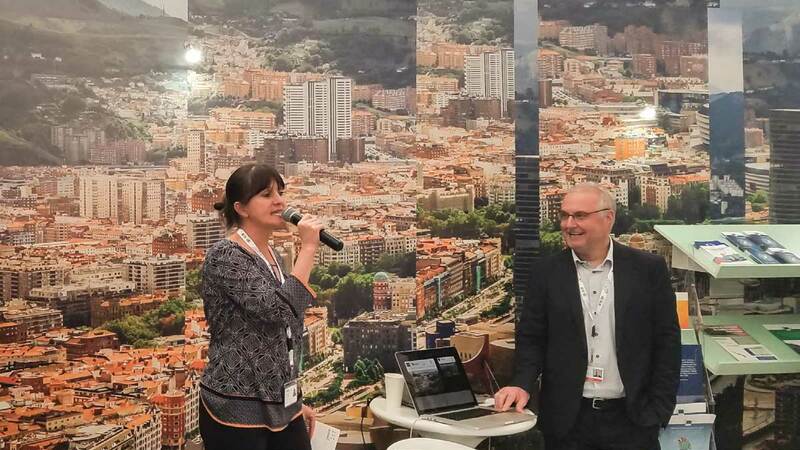 Video: Why did BORDA participate in UN-HABITAT-III?